First Christmas in kindergarten means first costume making for me. 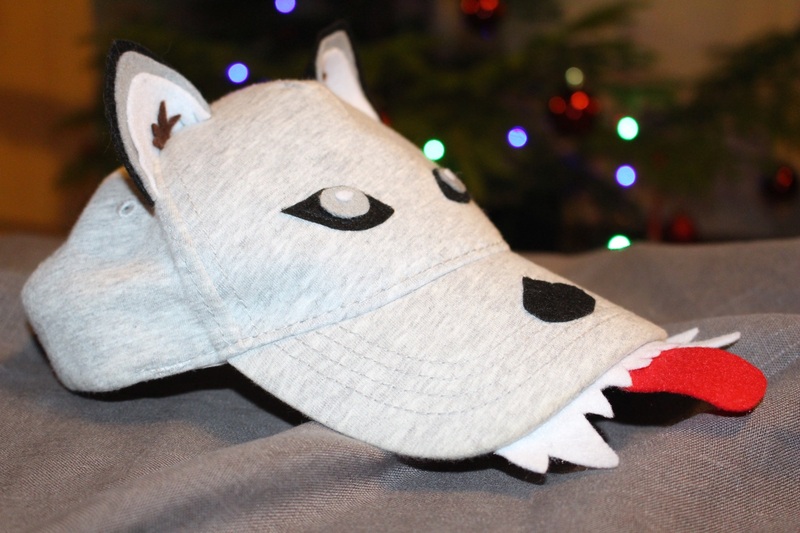 I am not even sure I support that or not, I might prefer the idea that kids would make masks themselves together with their nannies, but as it does not happen like that for now, I decided to make the wolf mask myself. I kind of think that 30 eur for mask to wear on one celebration are too expensive and also it is way too hot in those whole costumes, so there is a big chance kido wouldn’t even wear it. Gladly someone invented Pinterest and gladly I have girlfriends with good and easy ideas, so I just put all the best of those ideas together to make a quite easy mask kid would agree to wear. I do not want to keep all that thinking and making to myself, I’d rather share this mask idea with you, because some of you may find it helpful when time comes to make something similar for your kids. 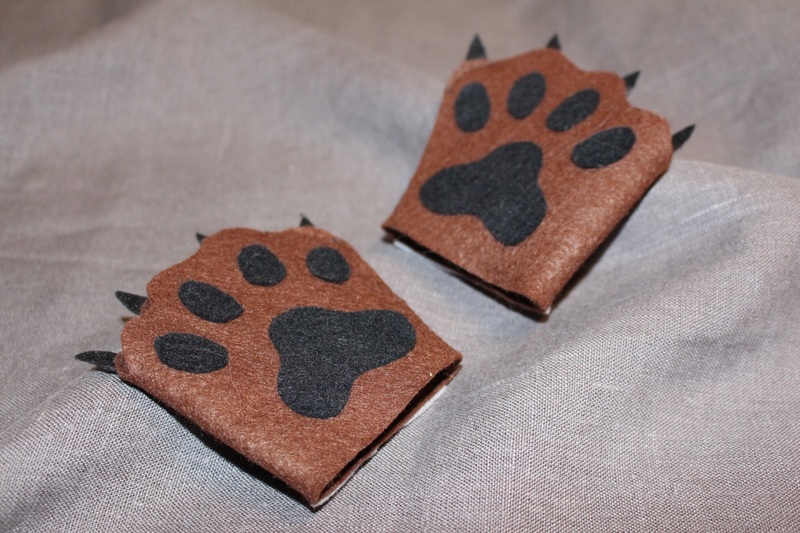 Paws are the easiest part – make paws like bracelets or gloves. 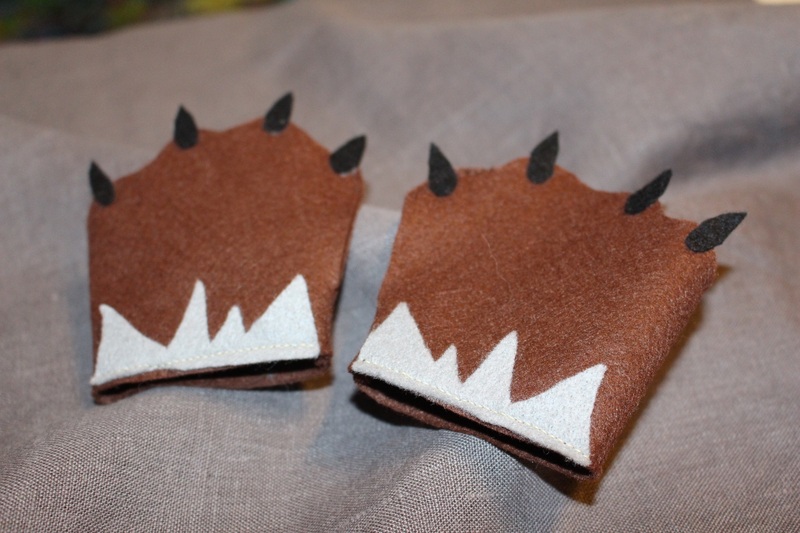 You can sew gloves without fingers like i did or you can take real gloves and sew paw details on them. Your choice, both simple. Tail. Tie the tail to trousers if they have a belt loop or sew it to trousers if they don’t. Don’t use safety pin to attach the tail – that is not safe with little kids! A little bit more complicated is wolf’s head. 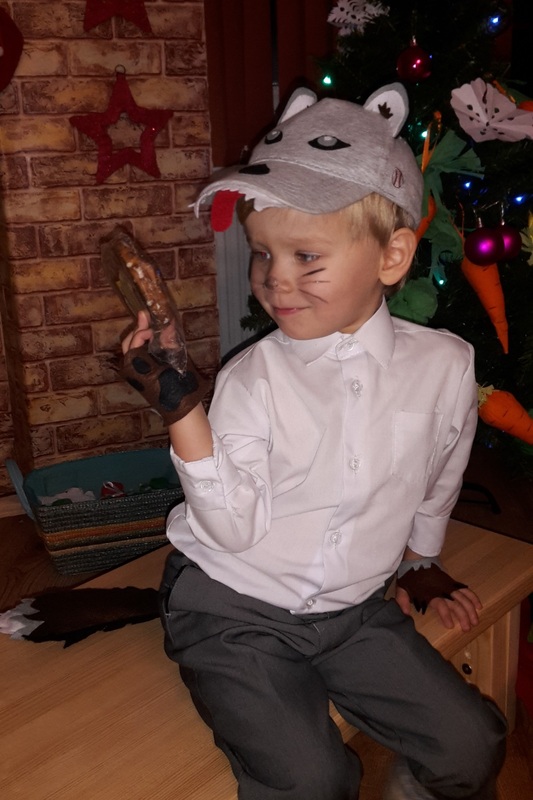 My girlfriends with bigger children told it wasn’t good to put a mask, which hides kid’s face – way better if you can recognise them not only in the event, but also later in photographs. 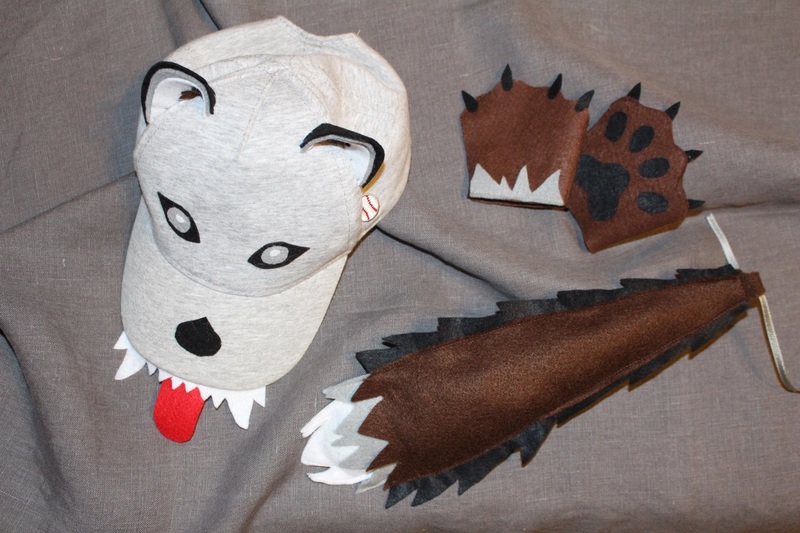 So i decided to choose between two options – to attach ears, eyes, nose and mouth with teeth to cap or to hoody. This choice is up to you – which one you have on hand and how warm outfit your kid needs for the event. ribbon to tie the tail. I put all the mask’s details on those tree A4 sheets – see the contour with black line. Green and orange marks where you have to sew details together. Blue marks where you attach details on cap. On all the other places i glued details together with a hot glue. *Wolf ears on patterns are bigger than ones you see in photos. 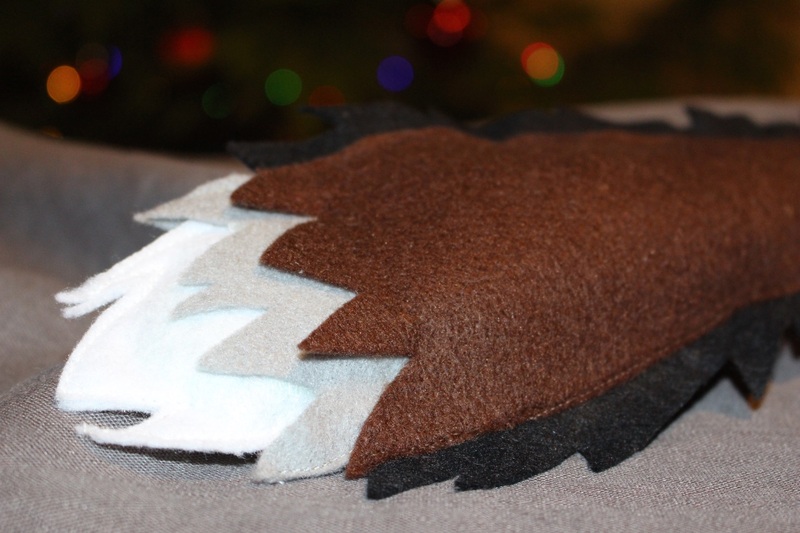 *I had quite a little piece of grey felt on hand, so i used more of brown felt, but i would prefer otherwise.